Removing your makeup is a really important step to having gorgeous looking skin. Skin that is congested can lead to spots breakouts, puffiness and fine lines around the eyes. Cleansing the skin well boosts circulation which helps skin look younger and fresher. Soak cotton wool pads in eye makeup remover and hold onto the eyes to dissolve the makeup – no rubbing allowed! This award winning cleanser deserves its fantastic reputation. When my skin needs a ‘pick me up’ I use this product myself & it feels like I’ve had a mini facial. You apply the cleanser to the face, massaging into the skin. Then rinse the muslin cloth that accompanies the cleanser in warm water and gently wipe off the cream. It quickly removes daily grime and make up to leave skin clean, soft and radiant. This cleanser has a two-phase action. Phase one is the cleansing. Free from mineral oil, it has a rich and creamy texture and swiftly removes all traces of face and eye make up, even stubborn mascara. Phase two is the polishing. Polishing off the cream using the pure muslin cloth will gently dislodge dead skin cells and help reveal clean, soft and radiant skin. Naturally active ingredients include eucalyptus and cocoa butter for smoother, cleaner skin. I use this cleanser day in day out on all my clients. It is extremely gentle and so can be used over and over without aggravating the skin so it’s a favourite with professional makeup artists like myself when several makeup looks are required on one model. Created to suit the needs of those who experience skin irritation and redness, the alcohol-free formula soothes and cools as it cleanses. Oil cleansers are great to use on days when you’ve been wearing a lot of makeup and are also really effective at removing waterproof mascara – you can use it for your first cleanse and then follow with a lotion for your second cleanse. This No7 product is very inexpensive and the bottle will last for a couple of months so it’s great value. It’s ideal for those heavy makeup days (perfect for your wedding day). 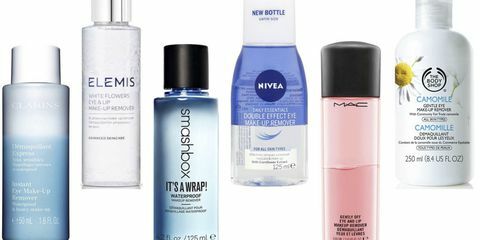 I hope my article helps you make some positive changes to your makeup removal routine! For more information about my makeup tips & advice, makeup lessons, wedding makeup & photoshoots check out my website www.melenglandmakeup.com. Colour Analysis – what’s it all about?